A chemical formula is a method of expressing the components of an element or molecule in a way that can be easily notated and understood. This methodology is used in ways that allow the user to easily understand what molecule or element they are studying, its charge, and more simply by looking at it. There are many different components involved in chemical formulas that help to distinguish different features about each atom, molecule, etc. Some of the more basic components of the chemical formulas are chemical symbols, subscript notations, and superscript notations. There are also different formulas that can be expressed such as empirical formulas, the Hill system, molecular formulas, and condensed formulas. Each of these methods has a different focus that gives new perspective to a molecule and its structure. There are many different types of notation that are used to indicate different elements, molecular structures, charges, classifications, and more. The most commonly used form of expression, however, is the chemical symbol. A chemical symbol is a shorthand of sorts for all of the elements known to man. This system is used to identify different elements by associating them with one or two different letters from the Latin alphabet. These symbols are commonly known and recognized as they are the foundation of the Periodic table. These are the symbols that are used in most types of chemical formulas so that the viewer knows which element they are dealing with. While a chemical symbol is used to express the type of element that is being used in a chemical formula, this is just the foundation of the other types of notations that can be used. Another common thing to see in the formula is a subscript number. Subscript numbers are used to indicate how many atoms are present in a molecule. In the example above, we see the expression of a water molecule. We recognize this expression as a water molecule because we know that H is the chemical symbol for hydrogen while O is the chemical symbol for oxygen. Without a subscript, however, it might be easy to confuse a representation of water molecule with the representation of a hydroxide molecule. If there were no way to indicate how many molecules of hydrogen there were in this molecule, it could easily be confused for hydroxide. However, because the subscript is used to show that there are two hydrogen atoms bonded to the oxygen atom, we can easily identify it as a water molecule. In addition to knowing the number and type of each atom in the formula, it is also beneficial to know the charge of each ion. This is indicated through superscript notations. There are two types of ions – anions and cations. Cations are ions that contain a positive charge. This is because they have more protons than electrons in their configuration. Anions are ions that contain a negative charge. This is because they have more electrons than protons in their configuration. When looking at the hydrogen ion above, we are able to determine that it is a cation due to the plus sign that is located in the upper right-hand corner of the chemical symbol. This enables us to predict how the hydrogen ion will interact with other elements in a chemical reaction. When looking at the hydroxide ion above, we can easily determine that it is an anion due to the minus sign located in the upper right-hand corner of the chemical symbol. In addition to allowing us to predict how the anion will interact with other atoms, it also tells us the balance of charges in this ion. This anion has a negative one charge, expressed by the fact that the minus sign stands alone. Anions with a negative two or three charge have a numeral after the minus sign to indicate the configuration. There are several different ways to express chemical formulas that allow for different understandings of the molecules they represent. Some formulas simply give an overall representation of the atoms that exist in a molecule while others have a more specific representation that shows the location of these molecules in their configurations. Empirical formulas are the most simple type of formula and simply convey the proportions of each type of atom inside a molecule instead of specifically detailing how many of each atom type exist inside the formula. Although this formula is very simplistic and gives us an idea of the ratio of the atoms inside the atom, it isn’t a practical way to identify compounds. The above formula is also the molecular formula for formaldehyde – a substance with a very different purpose. This formula is much more accurate because it shows the exact number of atoms inside each molecule. This makes it more reliable when it comes to writing different compounds in chemical equations. Condensed formulas are an even more specific type of formula that show how the different bonds inside the molecule are arranged. These formulas express the exact arrangements of all the atoms. 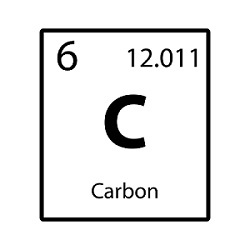 The two colons (which are sometimes replaced with two lines [=] ) represent the double bond between the carbon atoms, showing that this is clearly an alkene. 1. How does a condensed formula differ from an empirical formula? A. A condensed formula shows the bonds and number of atoms in a molecule, an empirical formula shows the ratio of atoms in a molecule. B. A condensed formula shows the exact number of each type of atom in a molecule while an empirical formula shows the relationships in a molecules bonds. C. A condensed formula is the same as an empirical formula. 2. Which of the following shows glucose in its empirical formula?